Matthew de Lacey Davidson (b. 1964, Toronto, Canada; now residing in Halifax, Nova Scotia, Canada) holds degrees from Victoria University of Wellington, New Zealand, the University of Toronto, Canada, and the University of Illinois at Urbana-Champaign. Apart from concertizing in Canada, New Zealand and the United States, with ragtime, early jazz, “classical” and contemporary music concerts, he actively promotes the work of other composers (both as performer and impresario) and his work has received radio broadcasts in New Zealand, North America and Europe. Dr. Davidson studied piano privately with John Powell and Rae de Lisle in New Zealand (through whom a lineage may be traced to Franz Liszt), with Bruce Greenfield and Phillipa Ward at the Wellington Polytechnical Institute’s Executant Music Course in New Zealand, privately with Lawrence Pitchko and Harold Heap in Canada and with William Heiles at the University of Illinois at Urbana-Champaign in the United States. As a composer, his works encompass almost every medium, including text, music, and lyrics for a singspiel; a chamber opera based on the short stories of Katherine Mansfield; chamber music; improvisatory works; theater pieces; electronic, and orchestral music. 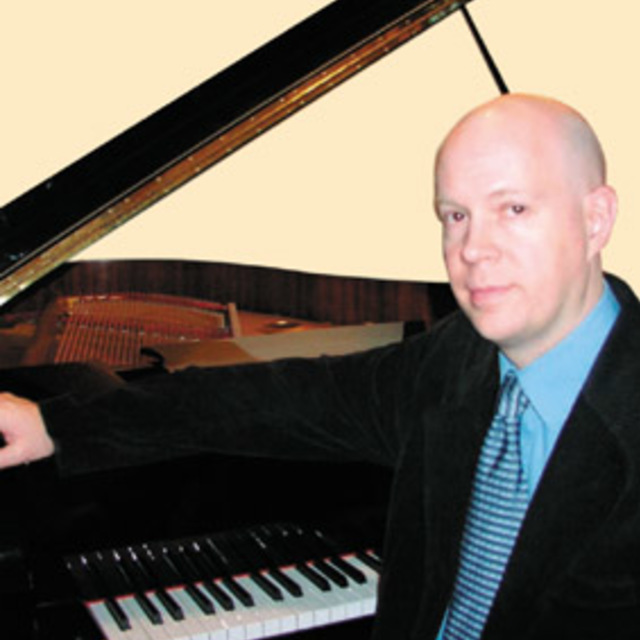 Davidson is the recipient of commissions and awards from Victoria University, the Queen Elizabeth II (New Zealand national) Arts Council, the American (formerly Minnesota) Composers’ Forum, the University of Illinois, Meet the Composer/California, The Elgin Cultural Arts Commission, and he has been associated with the New York piano virtuoso of twentieth century music, Anthony De Mare and with the Kronos Quartet, and the Zukofsky Quartet. His music is published by Honeyrock Publications in Everett, Pennsylvania, and made available througth the Centre for New Zealand Music, the Canadian Music Centre, The American Composers Alliance and the Bibliotheque Internationale de Musique Contemporaine in Paris, France. Some of his compact discs (e.g. the original Mastersound issue of The Graceful Ghost) have become collector’s items. He has recorded for Stomp Off Records, Capstone Records, Navona, and the Mastersound label. This catalogue of works is to be considered final and complete. “Que dites-vous?...C'est inutile?...Je le sais! Non! non, c'est bien plus beau lorsque c'est inutile!